USDA’s National Detector Dog Training Center trains canines detect targeted invasive species to protect the things we love. An interview with Procurement and Training Specialist, Paul Riopel. One thing the civilized world has done is disconnect us from the source of things. Whether it be the food we eat or the trees we look at and appreciate, the modern world tends to coax us into taking certain things for granted. Let’s think about this: You go to Colorado, and the first moment you set your eyes on those grand Rockies, you are in awe. You have never witnessed anything like this. You continue to drive, and you start to see areas of what looks like death. The trees are barren and acres and acres of land are no longer alive. The Japanese beetle has wreaked havoc on the area, and now your beautiful view is affected. That is one of a thousand examples of how your everyday life could be affected by a bug, a pest or disease that is brought into our country through agriculture contamination. The heroes on this scene are the dogs that are trained to sniff out specific threats. I had a chance to speak with Paul, a training technician and procurement specialist for canines that are part of the USDA’s National Detector Dog Training Center. This program goes into shelters and identifies dogs that fit the profile to become a detector dog. 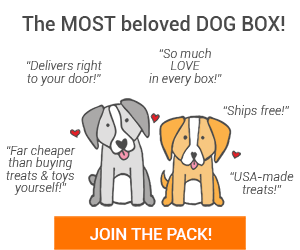 The dogs that tend to be good matches for the program also tend to be bad matches for homes, so this program offers them a way to have a great life while also offering value to us! Lyric is a rescue dog She was procured by the National Detector Dog Training Center in Newman, GA on February, 2015 when she was approximately 1.5 years old. Lyric is trained to find mangoes, guavas, apples, citric fruits and sweet potatoes. When she finds her targets, she is rewarded with treats. 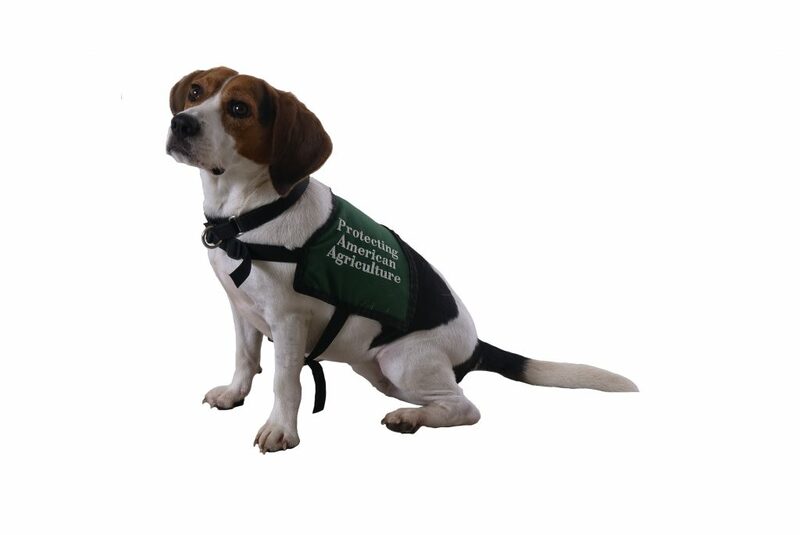 Since 1984, when the USDA Beagle Brigade was founded, beagles have been used for identification of agriculture threats. In addition to the historical component, beagles are VERY food motivated on average and are friendly looking, which is helpful for those people in airports or public spaces that may not be comfortable around dogs. Also, beagles are small which allows them to fit on luggage carousels and around large groups of people. When beagles find what they are trained to look for, they sit, telling the handler they found something. 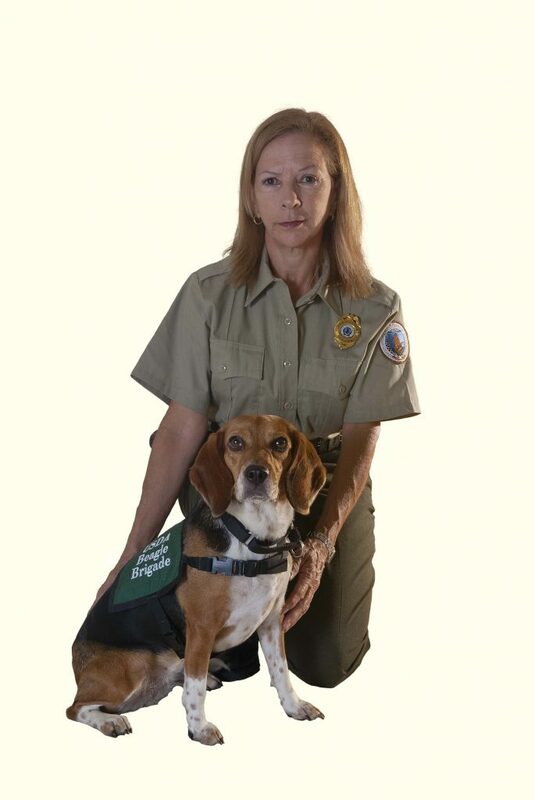 Since 1984, when the USDA Beagle Brigade was founded, beagles have been used for identification of agriculture threats. This breed is friendly and playful and is also taller, making them able to reach to the top of pallets in mail and cargo facilities. The high energy of a Labrador make him/her perfect for the job. The labs are trained to scratch and sit at a target scent, dependent upon if they are working on a postal belt or in a cargo area. Terriers are small, agile and scratch when they find what they are looking for. They are used in places like Guam, where they use dogs to find snakes aboard cargo or military planes. Once the dog is identified to fit the profile, Paul takes the dog into the field to see how they act and respond. At this point, Paul can test the drive for food and the willingness of the dog to offer behavior in trade for a treat. If they prove to be a good fit, the dog then spends the next 5-8 weeks with a trainer. 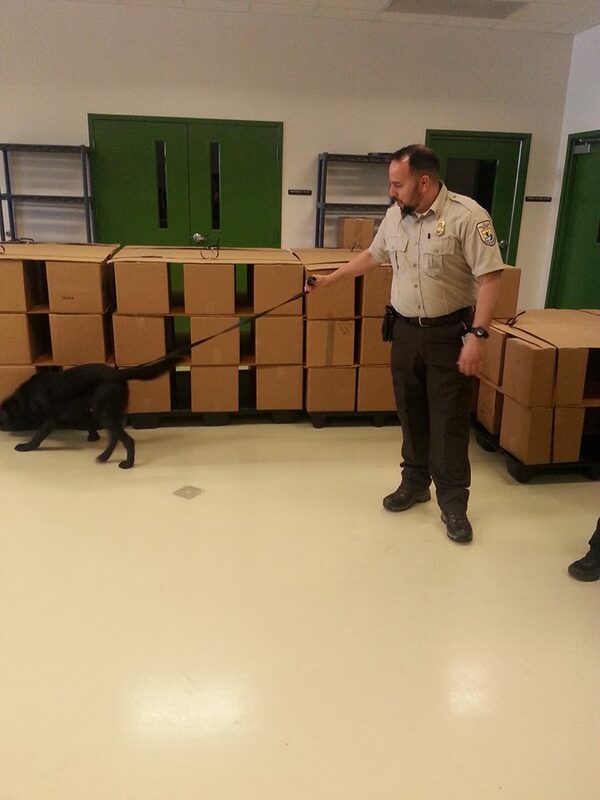 After initial training, the handlers come in and take over, feeding, grooming and cleaning the kennel of the dog. The handler and the dog form an incredibly strong bond over this period. APHIS Beagle Brigade team Gilda Cuevas and Sassie inspect passenger baggage to protect American agriculture from invasive pests. Her handler Gilda Cuevas said, “Sassie is an independent and methodological working canine. A family donated her to the National Detector Dog Training Center (NDDTC) in 2015 when she was 3 years old. We completed training at the NDDTC in May 2015. Sassie has been my partner since then and we have developed a very strong bond. She lives at Hospital Veterinario Vistamar, and I pick her up every working day. The dogs don’t live with handlers in order to let the canines rest and not become desensitized by the many smells in a home. To signal that she has detected the scent of a prohibited item, she sits in front of the carry-on bag or box. If you ask her, “Show me?” Sassie will mark the target with her paw, or move her face toward it. Her favorite off-duty activities are playing with her stuffed bear and visiting the airport’s Dog Boutique, where she says “Hi” to Blue, a little Maltese. Murray is one beagle that joined the Detector Dog Team. He is a great example of what this program offers to dogs that have had a rough life. Murray had lost part of his ear, was losing his tail and was extremely skinny when he showed up at the shelter. However, the shelter volunteer noticed his drive for food, and contacted the Center. When a Training Specialist took Murray out the first day, he performed like a star! Now Murray is practically famous working at the Atlanta airport! 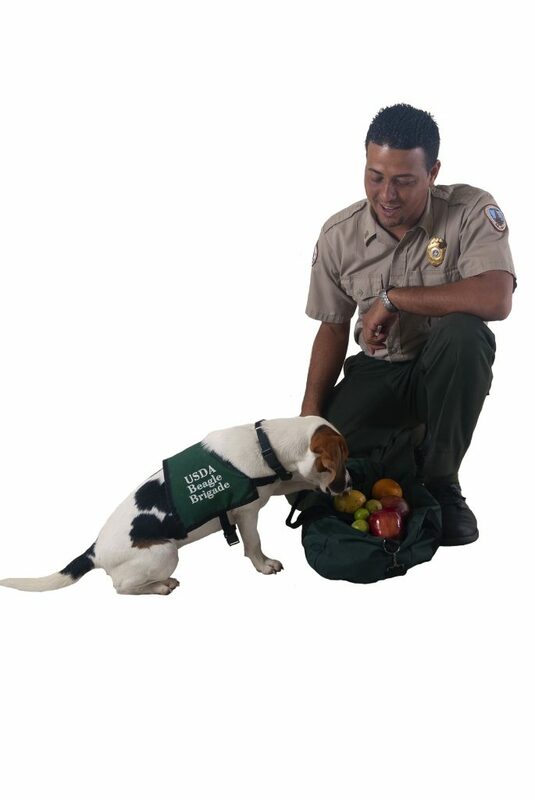 Detector Dogs are trained to find threats to the agriculture system including fruits, vegetables, meats and other prohibited items. So what are these dogs looking for exactly? 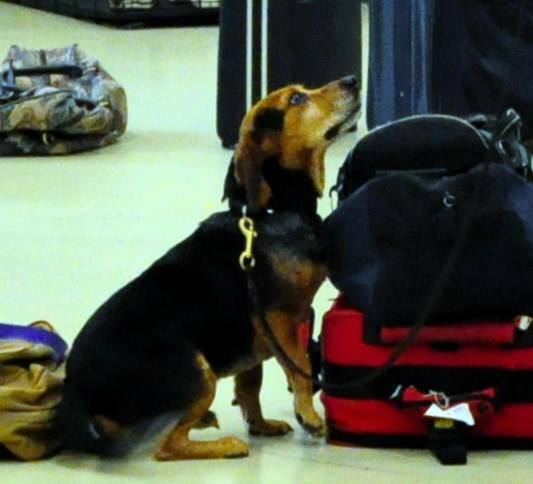 Detector Dogs are trained to find threats to the agriculture system including fruits, vegetables, meats and other prohibited items. They are mainly stationed at border crossings and in airports with their handlers to make sure unwanted pests and threats do not make it in. After these core scents are trained, additional scents are added on, based on the location and class. These may include additional meats, fruits, and other items such as seawater which can contain prohibited fish and coral. Here is a video about safeguarding American Agriculture in Puerto Rico! Who is Paul and how did he end up doing this? Paul is ex-military. 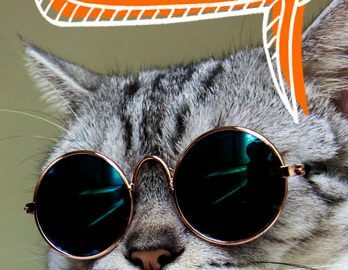 He went into the corporate world, but soon found himself unsatisfied and focused more on happiness than financial gain. He started as an animal caretaker with the Detector Dogs and 7 years later is procuring dogs from shelters all over the US making a huge difference! Plus, he loves it! When asked about a story about a dog finding something interesting, Paul told me this story: A dog hit on a man’s luggage at an airport. The handler checked the bag and they found seafood, including lobster and conch, but nothing that was illegal to import. The dog continued to hit. The handler, trusting her partner, looked again. This time, noticing that the lobster was not only a lobster. It had been stuffed full with a pig snout, and parts of the tail, obviously pork products which are prohibited items. The handler trusted her partner, and it led to avoiding a potentially harmful situation. The USDA National Detector Dog program is an all around amazing program for dogs in need, offering them a way to be of value and find purpose and happiness. To learn more visit their website. 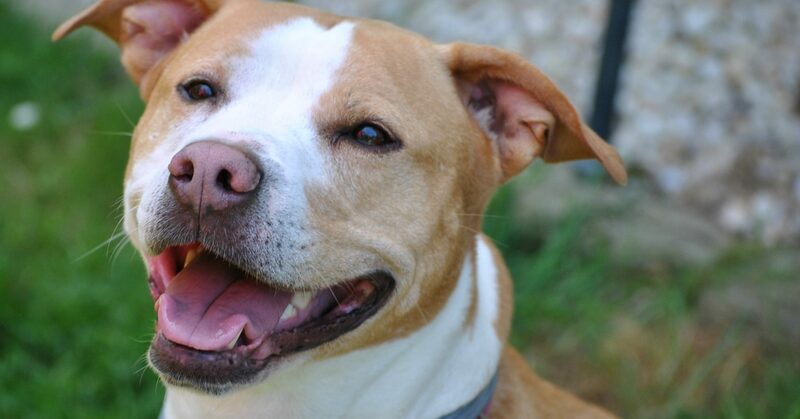 Do you run a shelter and have a dog of the breeds mentioned? If you feel like any of your dogs are a good fit, reach out to us at Pet Treater and we can connect you to Paul!